Last episode, Bridget ends up killing a hit man who was after Siobhan and she decides to hide the body as her friend arrives to meet her at the loft. Gemma still does not know who her husband is having an affair with. The next day Bridget returns to the loft to try to deal with the body, calling Malcolm for help as she does not know what to do. He tells her to flee. As she tries to leave the house, detective Machado knocks on the door in an attempt to speak with her about her sister. She ushers him away and makes her preparations to leave, withdrawing Siobhan's money from a newly opened 'emergency' account. On her way to the airport, Andrew calls telling her he's moved the cocktail party to the loft as his current venue has flooded. 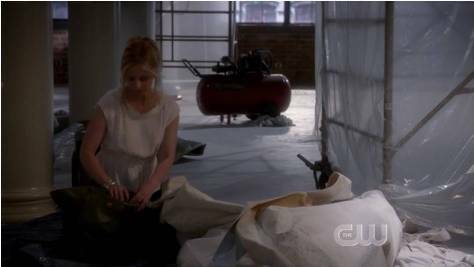 Bridget hurries to the loft to deal with the body, placing it inside a trunk. 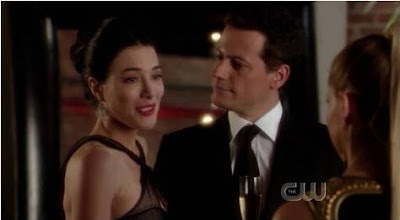 Tensions rise during the cocktail party for Bridget as Gemma's emotions run wild, agent Machado arrives to question her as well as her having to deal with Andrew's business partner Olivia who seems to want to steal her husband. That's not all, during Andrew's speech, a phone from inside the trunk rings, which Bridget takes to save the situation. Before that, blood was seeping out of the trunk. How she could deal with so much drama is beyond me! With the party a raging success, Bridget has still to deal with the body and Malcolm. Sneaking out in the middle of the night, she discovers step daughter Juliet throwing up in the bathroom, and offers to stay with her, remembering herself in the past needing someone. Bridget makes a decision to stay, as people are depending on her and she wants to make amends for the trouble she's caused Siobhan in the past. The final scene shows Siobhan, alive and well in Paris, attempting to withdraw money, only to be told that the account has been closed. She makes a phone call with someone asking them to finish it because 'she's ruining everything'. Bridget returns to clean up the body only to find that the body is missing from the trunk. I am extremely intrigued and really want to find out what happens next. I have a feeling real Siobhan wants to escape her life, hence fleeing to Paris, only to discover Bridget has ruined her plans. She may have even sent the killer on herself as they'd find Bridget, who looks exactly like her, and kill her. With regards to the missing body, it seems like a very easy way out for Bridget having killed him, but I guess there must be a bit more to it, especially with the phone, which seems to be the main focus to the next episode. Now that her 'problem' is solved, she can stay as Siobhan without many problems... ? The mystery thickens.